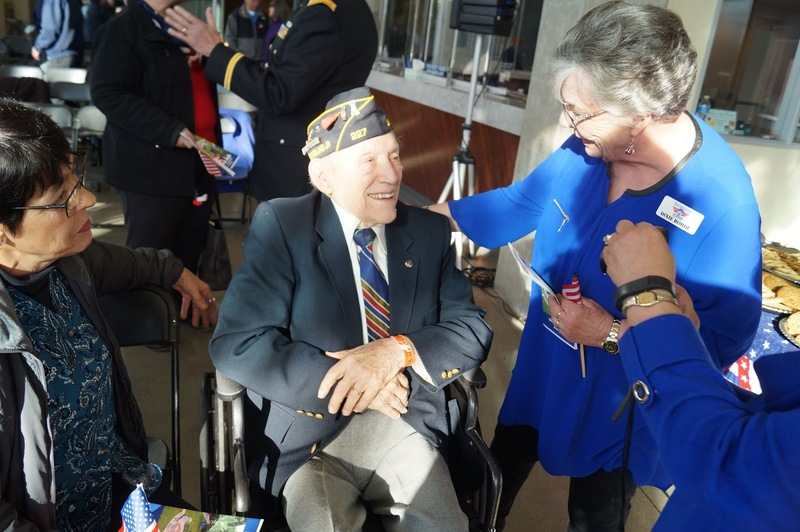 On Monday, November 12, 2018, three organizations joined in an event to recognize veterans. 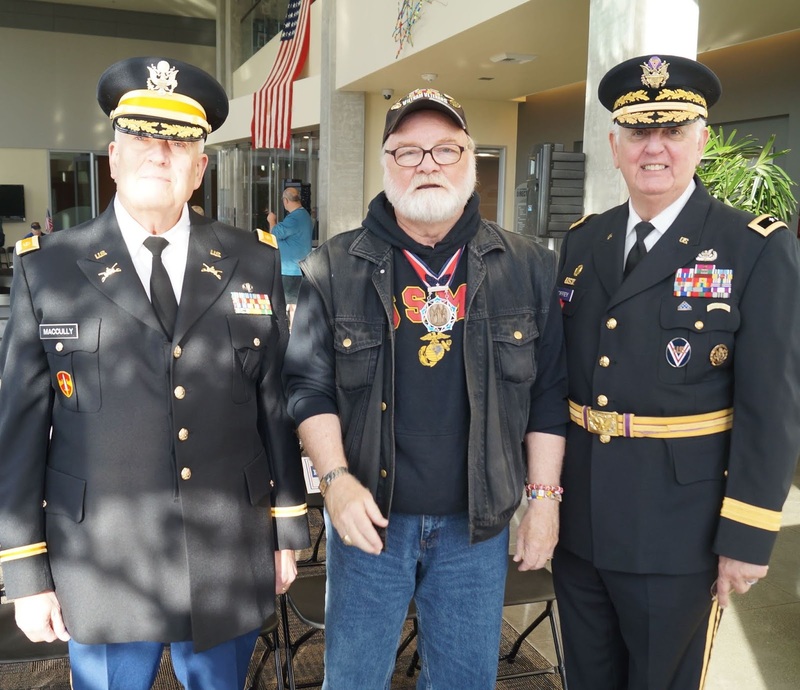 The City of Shoreline, the Shoreline Veterans Association, and American Legion Post 227 held a program at Shoreline City Hall. The keynote speaker was Edmonds resident Michael Reagan with his Fallen Heros Portrait Project. 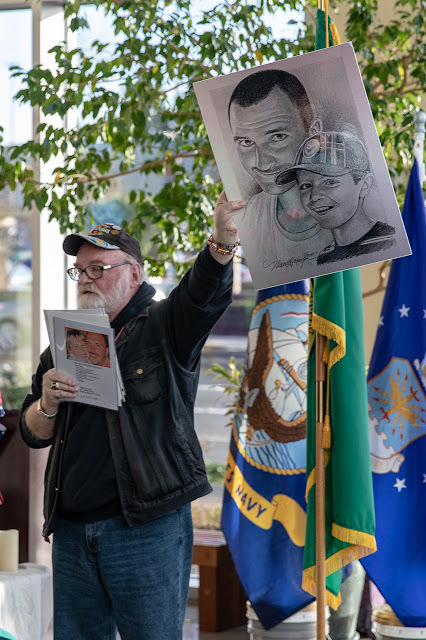 He draws sketches of fallen service members, free, for their families. He has expanded to include the children and teachers who died at Sandy Hook, and the Parkland victims. A brass ensemble played. 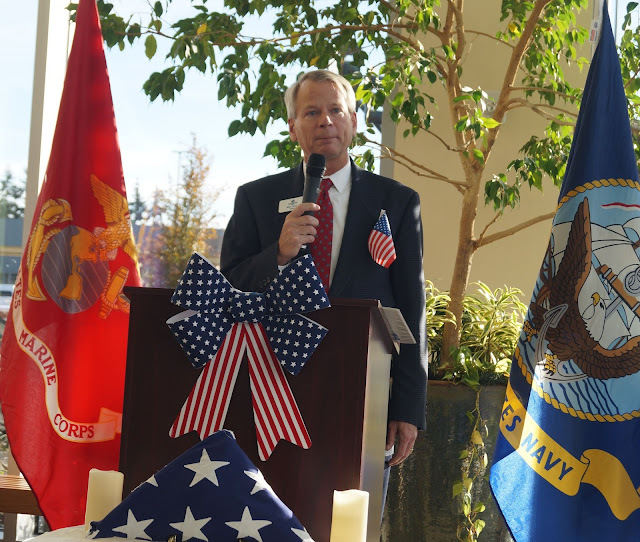 Mayor Will Hall was the master of ceremonies, welcoming the crowd, leading the pledge of allegiance, giving remarks, and presenting a proclamation from the City. 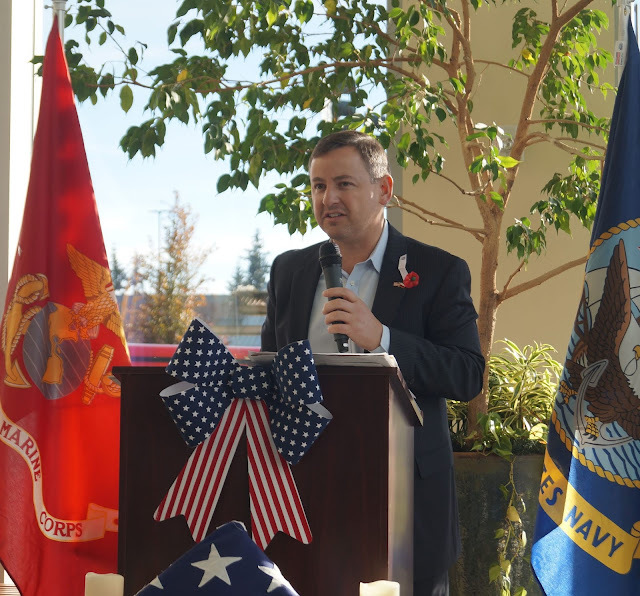 County Councilmember Rod Dembowski gave remarks. Dembowski secured the major funding from King County to build the veterans memorial on City Hall grounds. 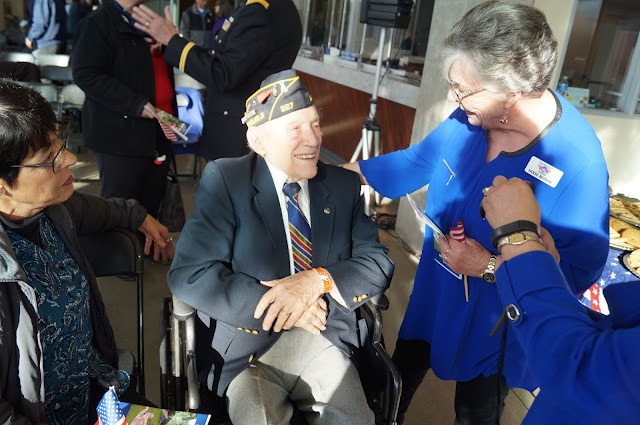 As part of his remarks, he spoke of the poem In Flanders Field, and talked about researching his grandfather's WWI service record in the online records of the Kansas City, Missouri WWI museum. 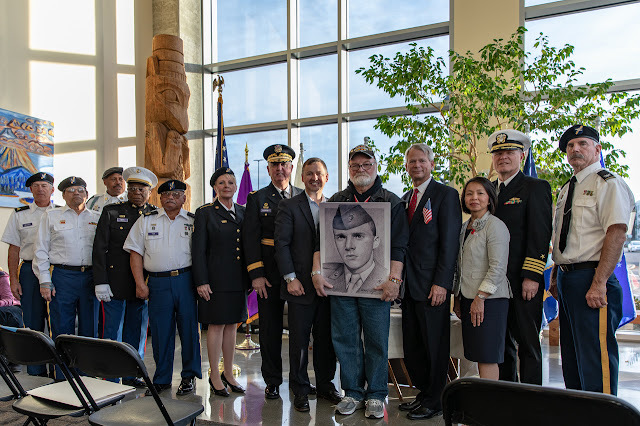 Maj. Bill MacCully of Post 227 gave a reading and MGen Ray Coffey USAVR, Chair of the Shoreline Veterans Committee, introduced the keynote speaker. After, he spoke of the veterans project and gave the closing remarks. Chaplain CPT Debra Maund USAR gave the invocation and the benediction.